Because I travel frequently, I must be resourceful to stay healthy. The night before a trip, I pack my favorite healthy snacks, and I never get caught off guard. Well, almost never. Last week was a bit of a whirlwind and I was rushing to pack. I just grabbed whatever I could and stuffed it in my suitcase. It wasn’t until I woke up to a growling stomach in my hotel room that I realized how far this rushing business would set me back. Just order room service, right? Well, it was a small hotel and the restaurant didn’t open until the exact time I was scheduled to start my wellness seminar; a seminar that I knew wouldn’t go well unless I had enough protein to keep me firing on all cylinders. Fortunately, I can be rather persuasive when I’m hungry. I convinced the hotel manager to open the gift shop, so I could grab a protein bar. When I arrived back in my room and found my glasses, I quickly scanned the label – UGH. I had just ingested a day’s worth of sugar. It was barely daylight. I learned a good lesson that day; even a nutritionist can get tripped up by foods that sound healthy but aren’t. 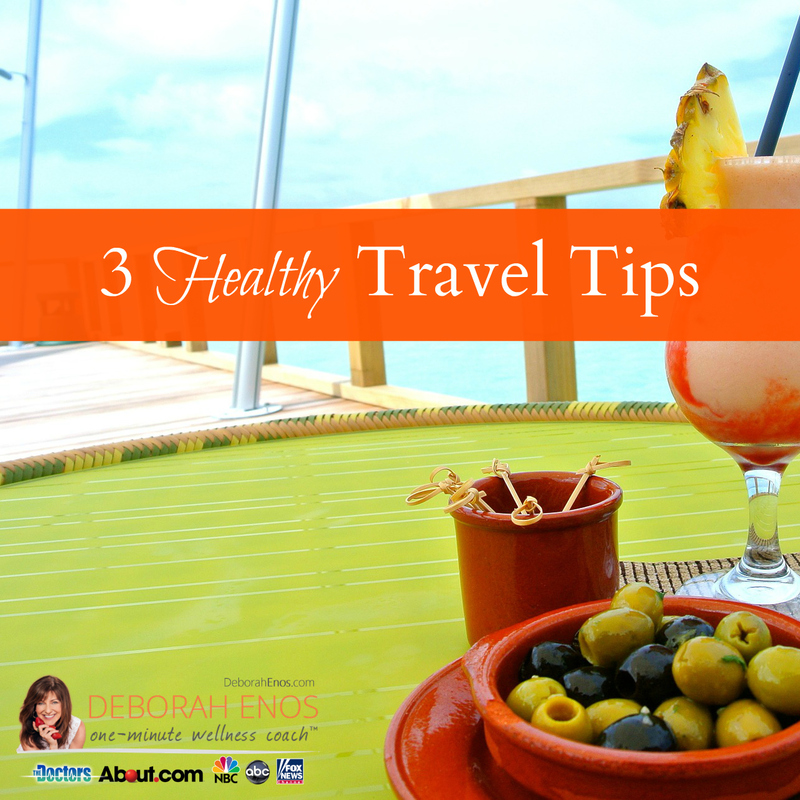 With spring break on the horizon, I thought I’d share some of my favorite tips for healthy travel! Pack high-protein, high-fiber and low-sugar snacks for breakfast. Morning is the time I consider the “danger zone.” Why? Many people wait too long to eat breakfast. Research shows that early breakfast eaters may burn an extra 150 calories per day. Over a year, that’s a lot of calories! The American Heart Association recommends that women keep their sugar calories to 100/day and men to 150/day. Keep your personal space bacteria-free. You’ve probably heard the news that cell phones have more bacteria than a toilet seat. Just imagine what’s growing in high-traffic hotspots. That’s why I travel with sanitizing wipes and hit the scariest areas: airplane tray tables, TV remote, light switches and the steering wheel of the rental car. Keep on movin’ – by eating enough fiber. Travel can impact the digestion of even the most ardent traveler. I find that staying hydrated (helps to move food thru the digestive track) and eating enough fiber is key. Grab an apple from the breakfast buffet, ask for extra veggies on your sandwich or add beans to your salad. Every gram of fiber helps.